I first drove by the “Bamboo Farm and Coastal Gardens” shortly after I moved to Richmond Hill, GA. nine years ago. I drove away thinking it rather exotic that anyone in Savannah would want to grow bamboo and wondering what exactly the “farm” was all about. The next time I drove by I noticed it was a University of Georgia facility and I decided to drive through the gates and check it out. 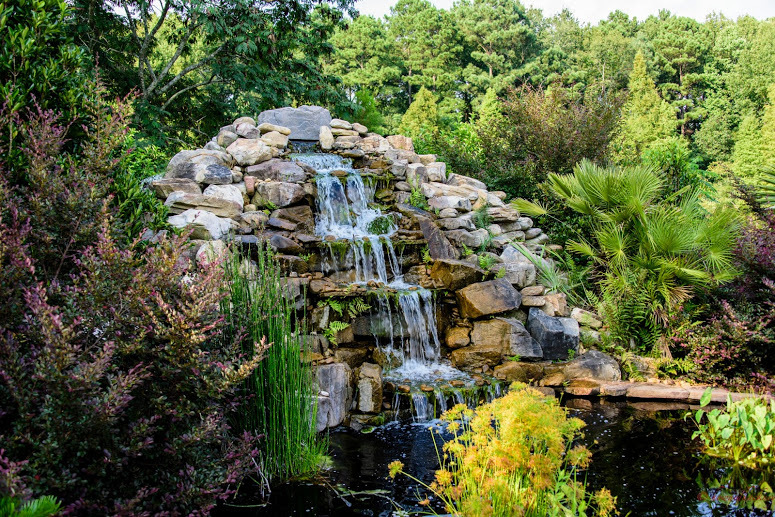 Not only were there over 60 varieties of bamboo from all over the world, but display gardens, native and exotic plants, and a 100-year history behind it all. For an avid gardener and history major like me, it was love at first sight. It all began in 1890 when Mrs. H. B. Miller planted three clumps of giant Japanese timber bamboo near her farmhouse, which sat alongside Ogeechee Road 15 miles south of Savannah. Mrs. Miller acquired the bamboo from a neighbor who travelled extensively throughout the world and brought some bamboo home from a recent trip to Asia. The bamboo flourished in the climate of Savannah and within a year covered about ¾ of an acre, with stalks towering 50 to 60 feet high. Mrs. Miller wished to have it removed but one of her farmhands wanted to save the grove. In 1918 he contacted a renowned plant explorer, Dr. David Fairchild, who worked for the U. S. Department of Agriculture. Dr. Fairchild travelled to Savannah to investigate the bamboo grove, was intrigued by this tall variety of grass and arranged for purchase of the property. In 1919 it was opened as a USDA Plant Introduction Station. Plant Explorers from the USDA travelled the world to find potential new crop products that could be grown in the U.S. and shipped them back to the plant introduction stations throughout the country. At the Savannah Station, field trials and experiments took place, many with bamboo. 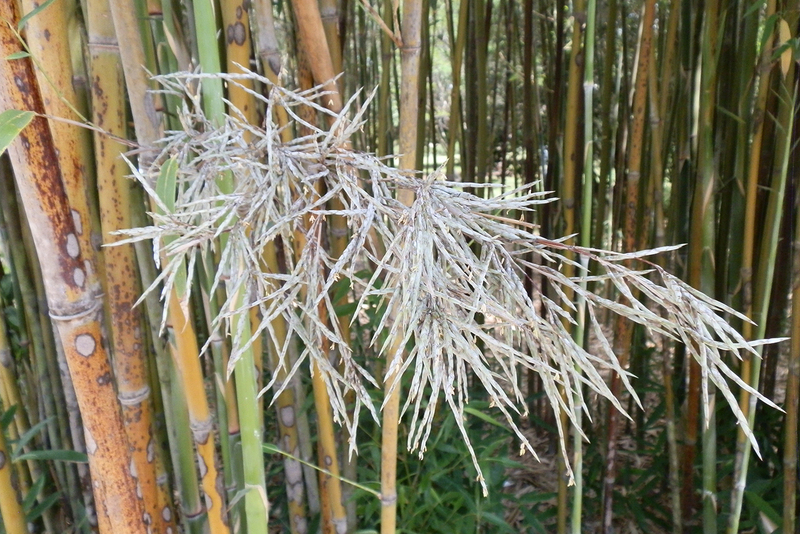 There were about 120 varieties of bamboo on the property in the early USDA years and we became known by the locals as, “The Bamboo Farm.” Several varieties of bamboo were evaluated for paper pulp, their cancer fighting properties and other medicinal purposes. By 1975, the USDA began to phase out the research functions of the Bamboo Farm and in 1979 the gates were closed as a government cost cutting measure. The federal government deeded the property to the University of Georgia in 1983 and research was continued for several years through the University’s College of Agricultural and Environmental Sciences. However, the recession of the early 1990’s forced the University to downsize its budget and once again, the property faced closure. A dedicated group of supporters fought against the closure and in 1994, the UGA Cooperative Extension formed an advisory committee and embarked upon an aggressive capital improvement campaign. The following year, a 501(c) (3) non-profit organization, Friends of the Coastal Gardens (FOCG), was formed and a master plan commissioned. Renamed the “Coastal Georgia Botanical Gardens at the Historic Bamboo Farm” (CGBG) in 2012, CGBG has taken on a larger education and demonstration role as part of the University of Georgia’s Extension and as truly become a premier botanical garden on the I-95 corridor. Descendants of the original three clumps of giant timber bamboo planted by Mrs. Miller still tower along U.S. 17 South. It stands as a reminder of our humble beginnings nearly a century ago - and a part of our exciting future.